Our feature-loaded proprietary Video Player is designed to help you present your webcast or archived video in a way that attracts, engages, and excites viewers. However, when you need to display more than one video, our playlist builder takes things a step further and gives you complete control of your video hierarchy. A few years ago, we developed a powerful tool that enabled us to control our video and other media files (or “assets”) dynamically (such as updating a webcast to an archived version without having to update code on all of the websites where the players were embedded). This process was the inspiration behind the creation of our playlist builder, which we have now rolled out to our clients. All of our hosting and webcasting clients have access to their own secure profiles within our content management system (CMS). The CMS makes it easy for clients to manage large groups of their own media assets; the CMS is also where we store the code used in creating each client’s customized video player or players. 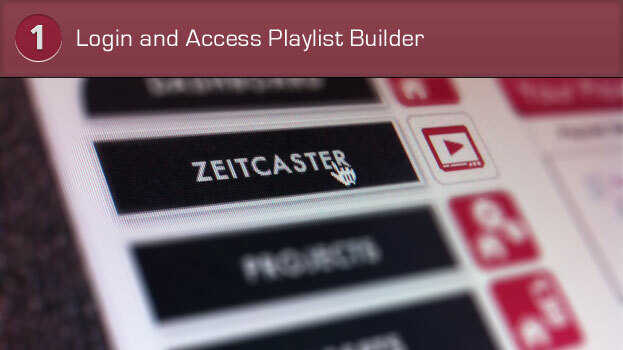 When you want to share more than one video — or even a video with other audio, image, or text files — with your audience, our unique playlist builder allows you to collect your assets and organize them drag-and-drop style within the CMS’ graphic user interface (GUI). When finished, you can preview your media within the player, publish the XML playlist, and then copy/paste the system-generated embed code into the websites of your choice. When you need to add, delete, change, or reorder files or assets within the player, simply update the playlist in the CMS and publish updates; the player(s) will be dynamically updated with the new order and assets. Our players remain in constant contact with their accompanying playlists, so there’s no need to refresh pages on which the players reside to see changes published. Create pre- and post-rolls (pre-recorded video spots) to highlight sponsors or advertisers before or after your video plays. 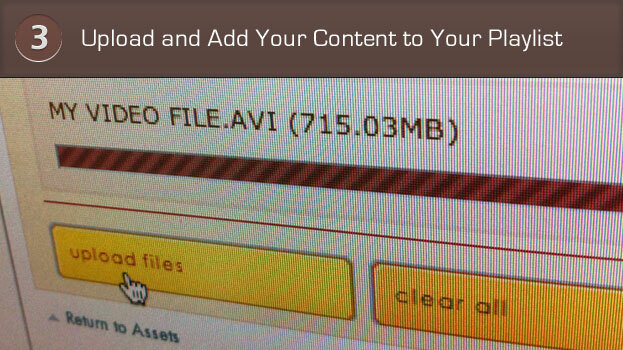 Manage different versions of the video player and playlist without needing to edit code. There’s no limit to how many playlists or players you can create. You can combine different types of media into one player and create playlists that include video, audio, art, and/or text. Our versatile system supports a wide range of file formats, including file extensions like .mp3, .jpg, .gif, .html, .xml, .ppt, .wav, .swf, .flv, .mp4, .mov, and .wmv — which means you have full control over which complementary pieces of content you’d like to store and/or display alongside your video. 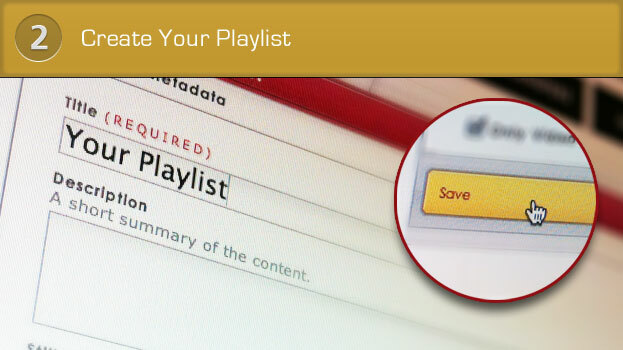 You can assign thumbnails and slate graphics to your playlist, as well as create multi-level, nested playlists. For live webcasts, you can post messages for your users (like “The show is about to begin” or “The show has just ended”) without requiring them to refresh the page. You can also replace a just-finished live webcast with its new archived version at the click of a button — no front-end coding required!